“Leila’s `Risinghill’ is a seminal work on education which I have been pushing at people for years. 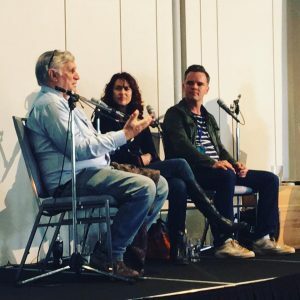 Leila’s brilliant analysis of the death of the school, interwoven with the personal stories that made Risinghill such a wonderful community, was a testament to how education should work — and how and why it sometimes fails. Every teacher and student-teacher should read it — as should every politician. 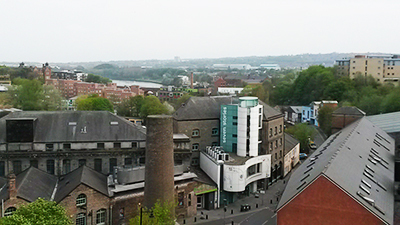 Seven Stories: The National Centre for Children’s Books in Newcastle/Gateshead, UK holds the only known near-complete collection of Leila’s books for children, and her relevant working papers, all in a special air-conditioned archive along with those of many other famous British kids’ books writers. Read a tribute they put on their website. Seven Stories is a wonderful place to visit with or without your kids and grandkids. 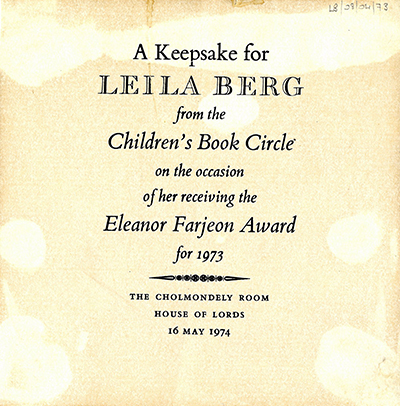 The Eleanor Farjeon Award, which Leila won in 1974, is made for distinguished service to the world of British children’s books and is given to someone whose commitment and contribution is deemed to be outstanding. Founded in 1966, it is presented annually in memory of the celebrated author Eleanor Farjeon (1881–1965). The spirit of the award is to recognise the unsung heroes who contribute so much to every aspect of children’s books. The award is administered by the Children’s Book Circle and sponsored by the Eleanor Farjeon Trust. In Leila’s case, what it actually physically consisted of was the original painting on our home page, which is an illustration by Richard Rose who illustrated many Nippers stories, beautifully framed, and with this Award Certificate pasted on the back. 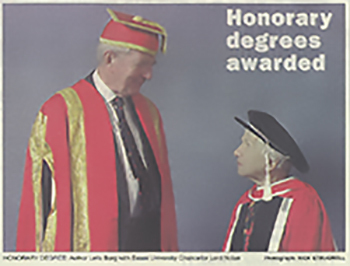 An Honorary Degree was awarded to Leila in 1999 by the University of Essex, UK, in respect of her contribution to British life and scholarship. That year Honorary Degrees were also awarded to journalist Polly Toynbee, architect Daniel Libeskind, Professor Greg Duncan, former Irish Prime Minister Mary Robinson, and psychologist Professor Alan Baddeley. Leila was grateful for the recognition but had grave doubts about the ceremonial dress. The photo also alarmingly revealed her low eye-level, in contrast to Essex University’s statuesque then-Chancellor, Lord Nolan. During my final year studying photography at Guildford School of Art, I went to Summerhill three times because I was interested in the concept and wanted to see how it worked. After I’d left, I saw an article in the Guardian about A.S. Neill & his school written by Leila, got in touch and showed her the photos. She felt there was a book there and, through her contacts, it was published in 1969 as, Neill & Summerhill: a Man and his Work, an Education Special by Penguin Books (with a young Richard Mabey as editor). Couple of years later, I moved to a bedsit not far from Leila’s house and we worked on many books and projects together over 30 or 40 years. These included two series, Snaps and Chatterbooks, and Look at Kids plus a play about Risinghill School performed at the Salisbury Playhouse before going on tour. She was a great mentor for a young photographer and I’ve always been enormously grateful.